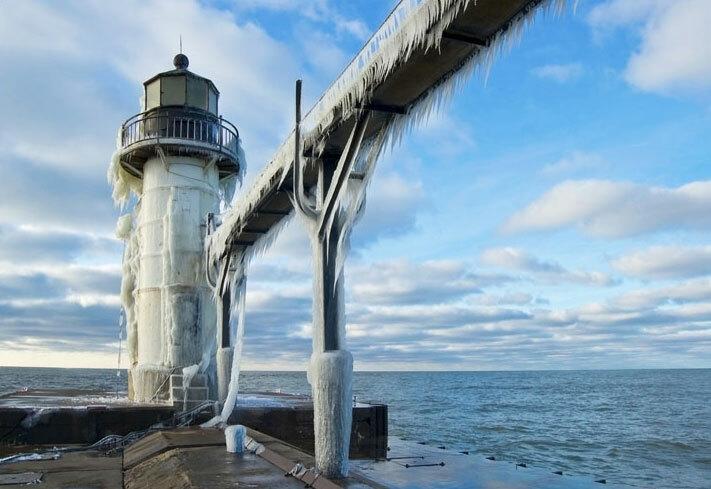 North America contains a variety of breathtaking natural sceneries and the change of season often gives a magical touch to them. 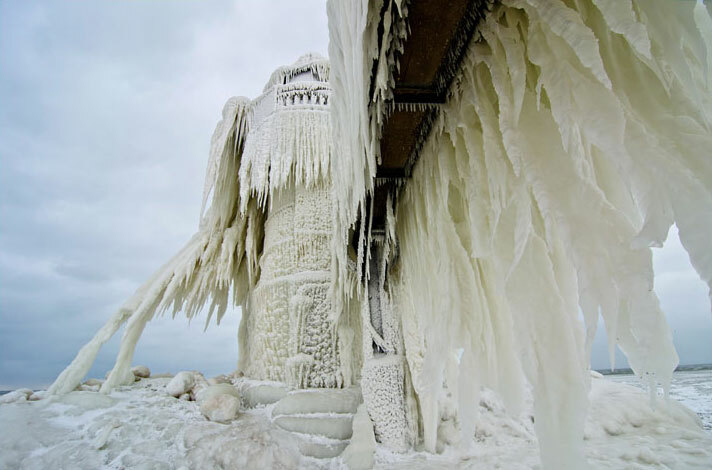 This is the case of the famous pier on the shores of Lake Michigan. 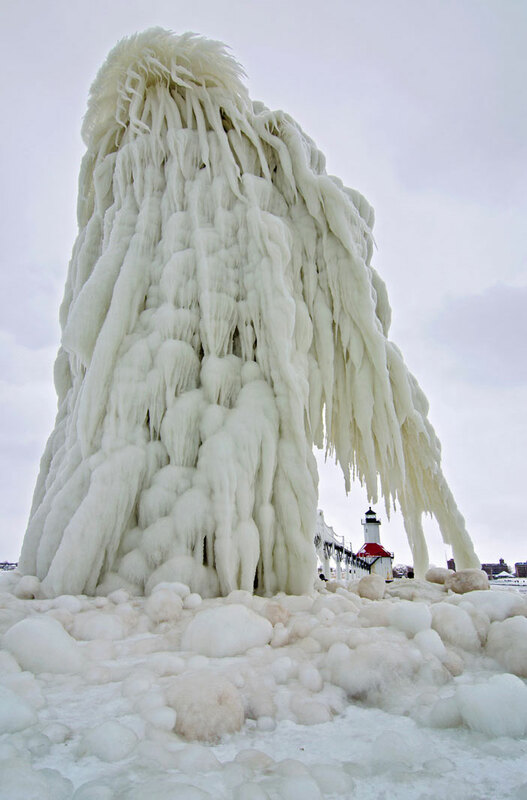 Once winter arrives, it is often frozen into breathtaking ice sculptures. 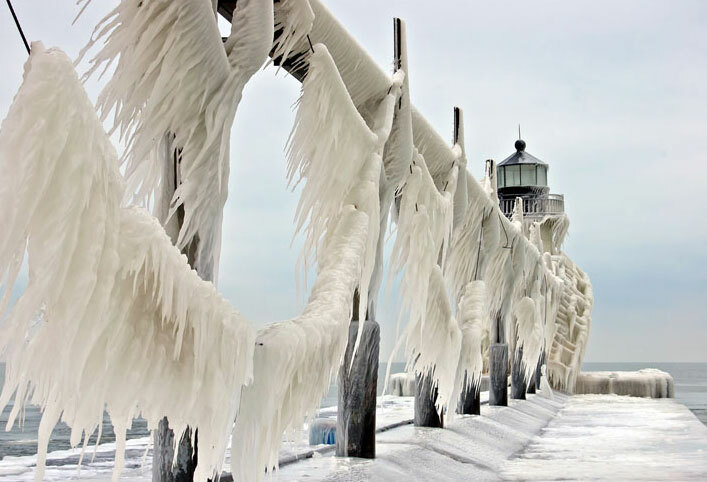 Tom Gill is a photographer who particularly loves shooting frozen landscapes. 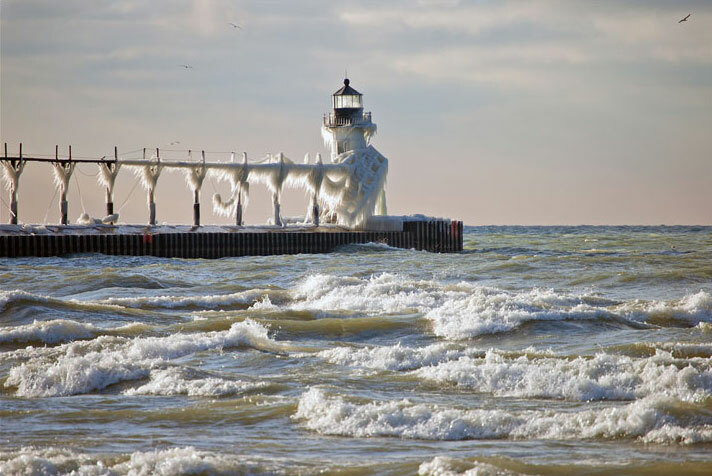 One of his prominent photograph collection is of famous Lake Michigan. 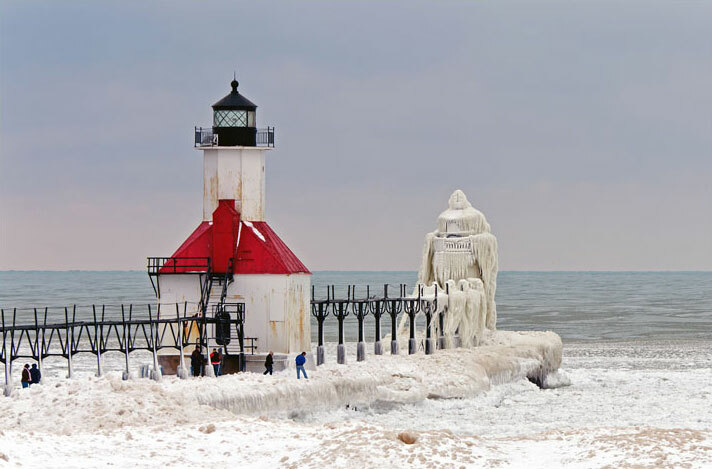 More specifically, the lighthouse and pier of St Joseph which turns into a magical scenery with the arrival of winter every year. 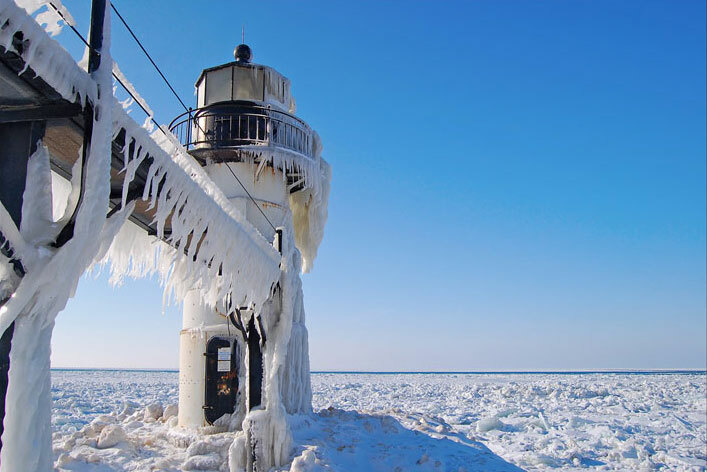 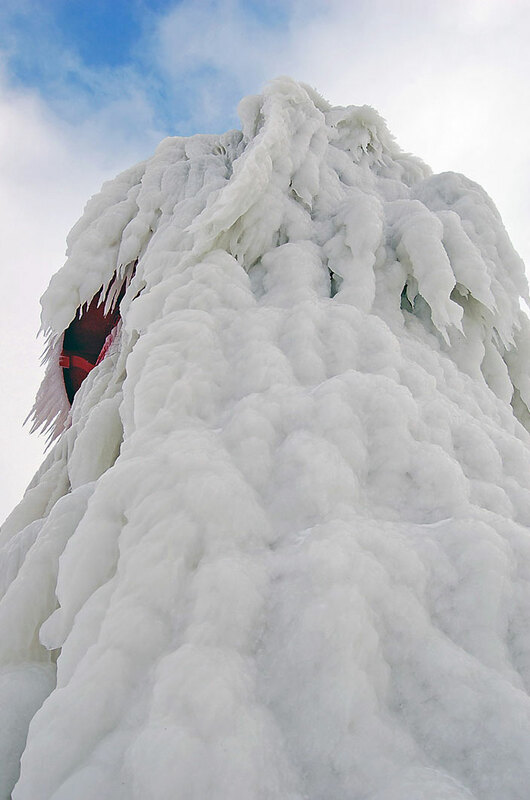 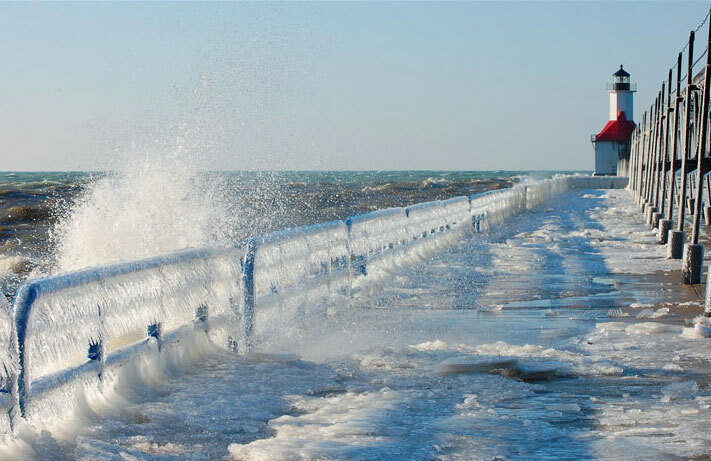 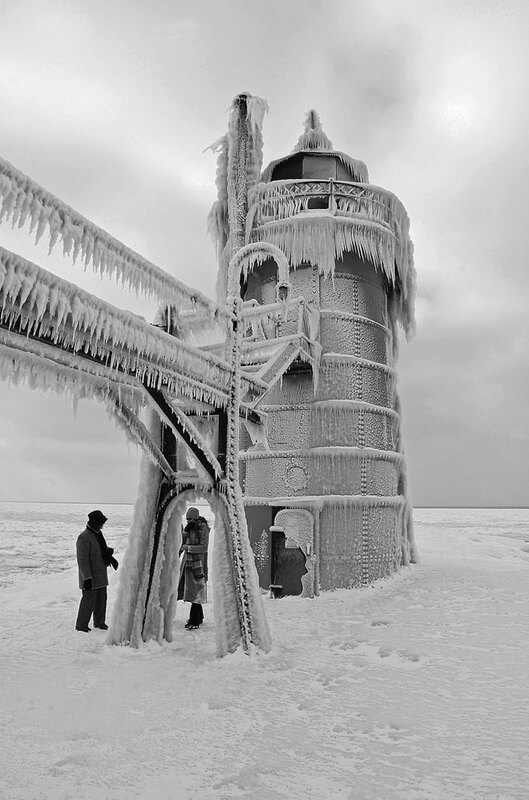 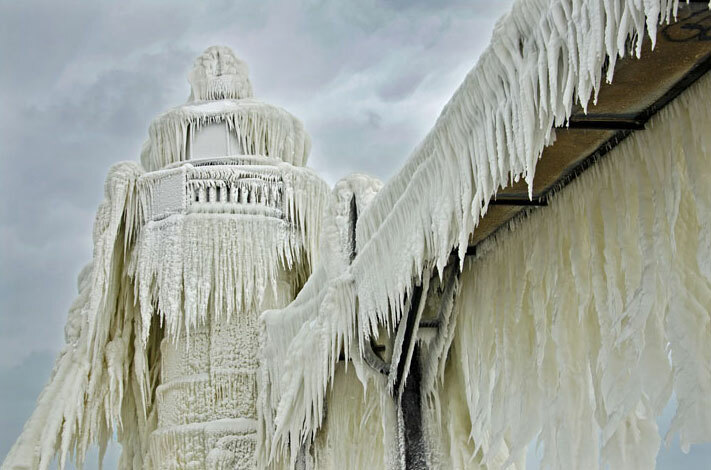 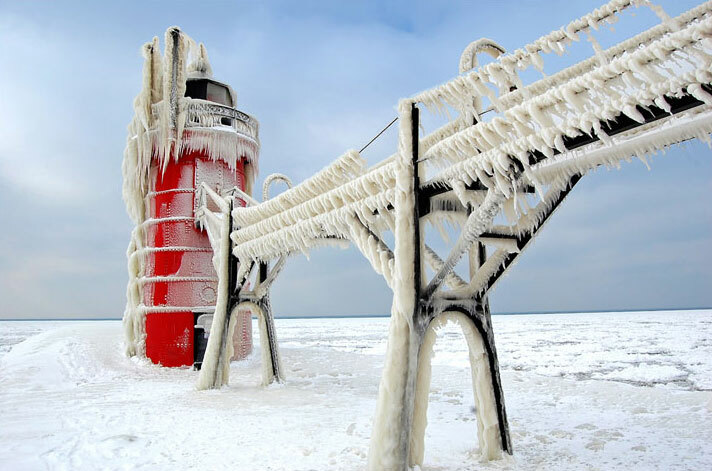 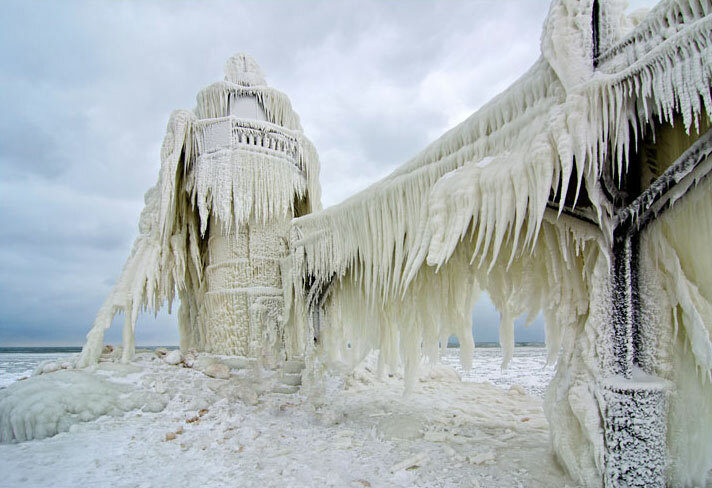 This phenomenon is the due to presence of frozen ice on all of the pier and two lighthouses that make up the landscape. 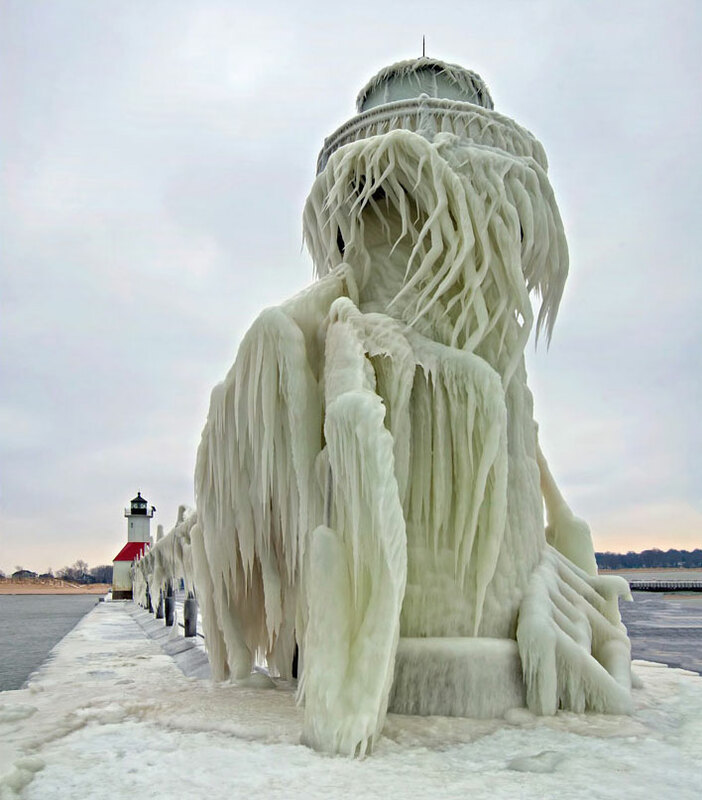 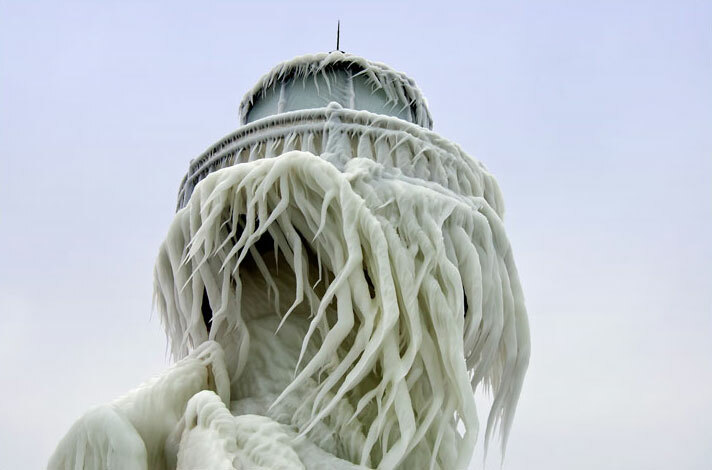 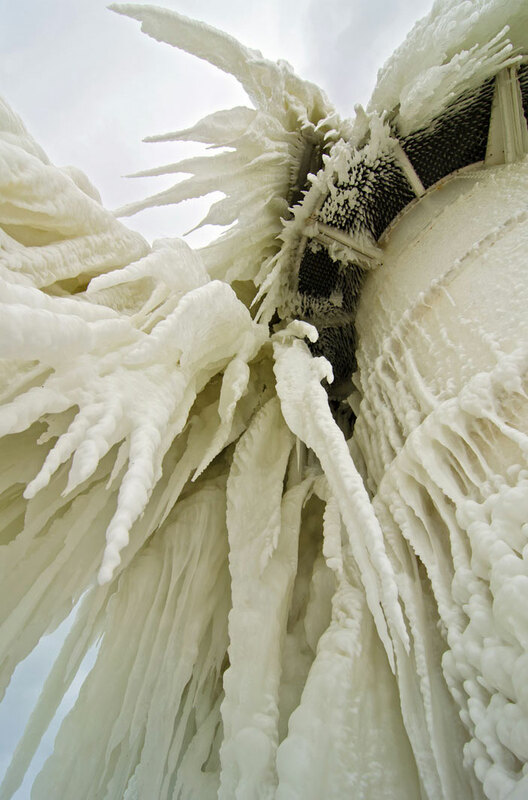 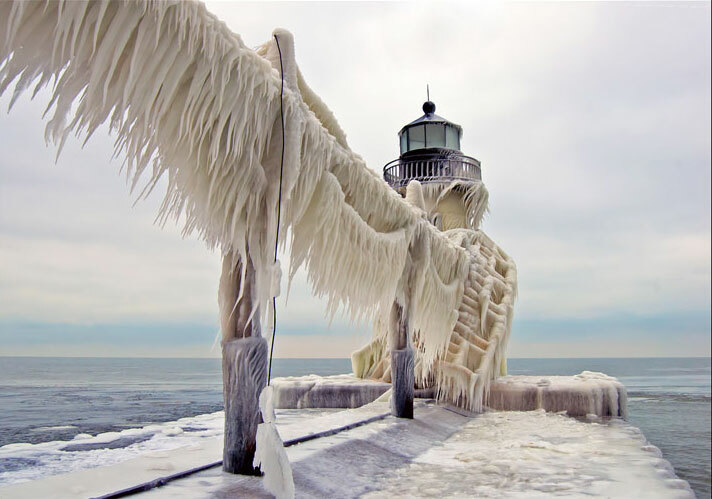 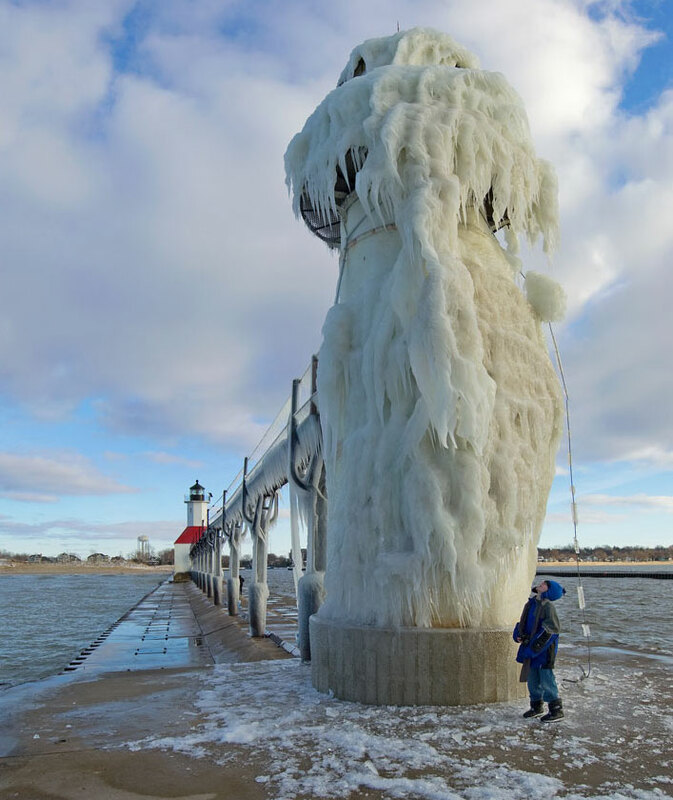 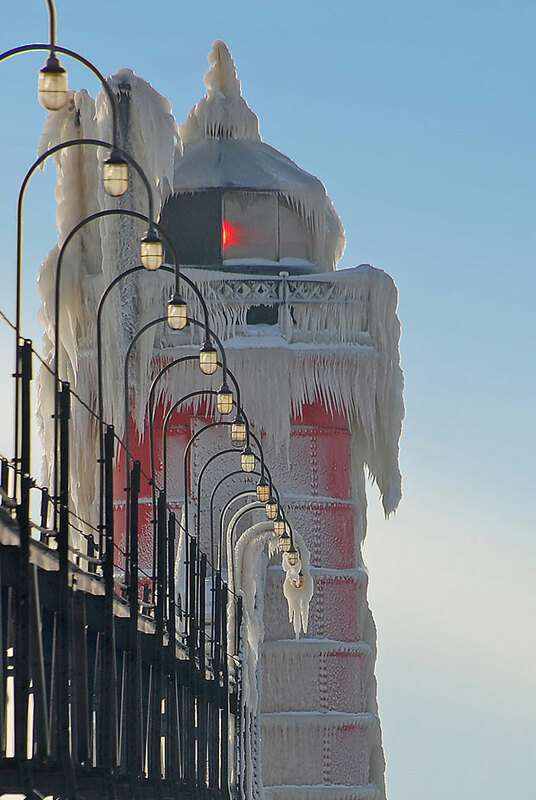 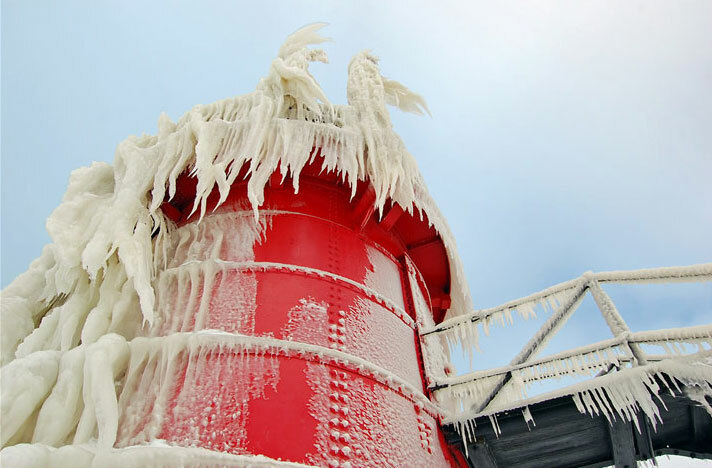 Indeed, the weather is so cold that waves striking the pier and lighthouses instantly turn into ice, thus, forming impressive natural sculptures. 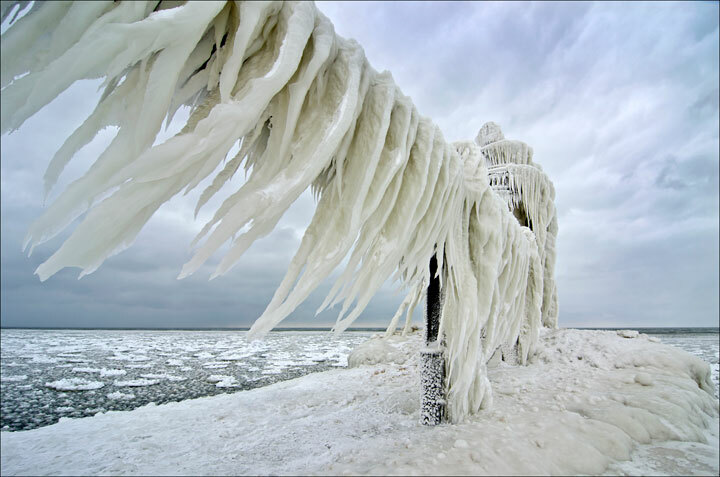 Photography by Tom Gill . 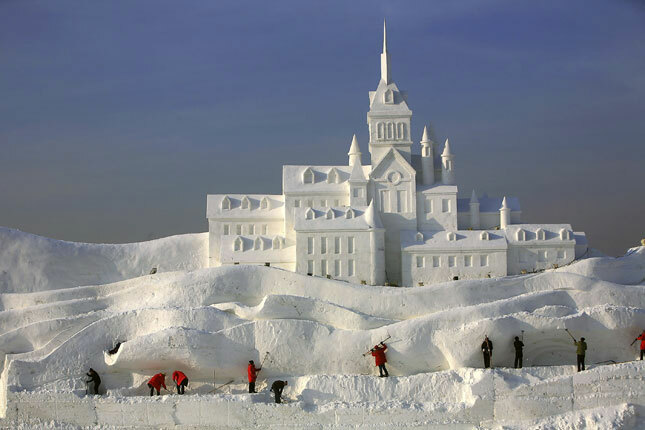 It looks like a spectacular lunar landscape. 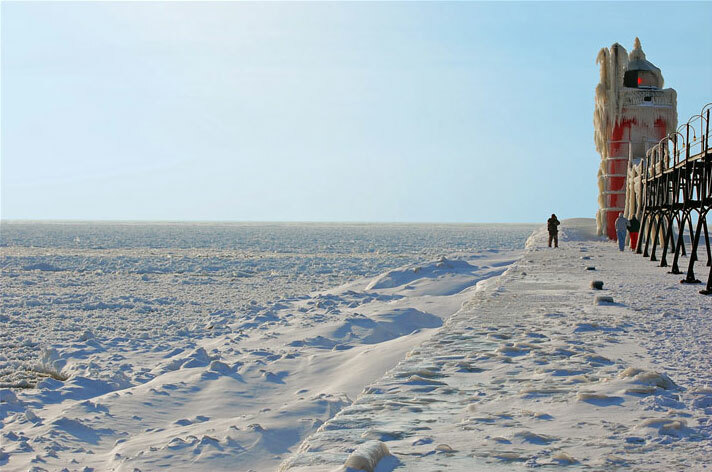 Do you know any other landscapes, where the change of season makes everything so extraordinary? 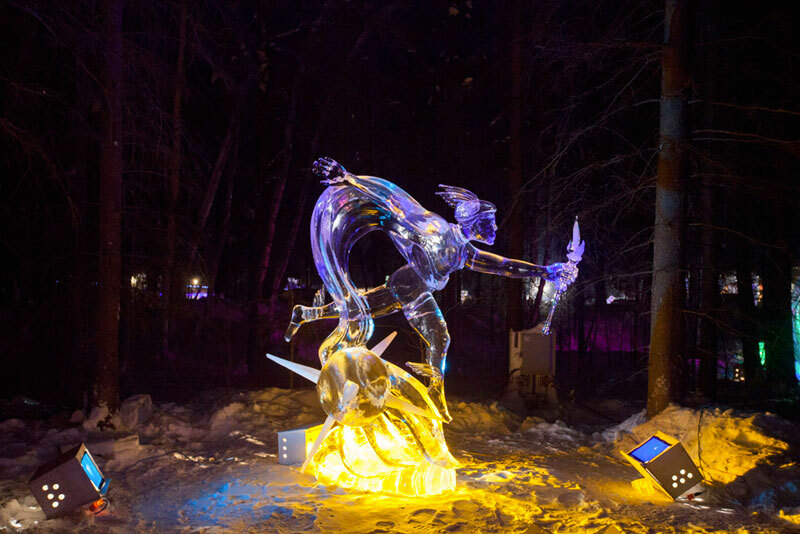 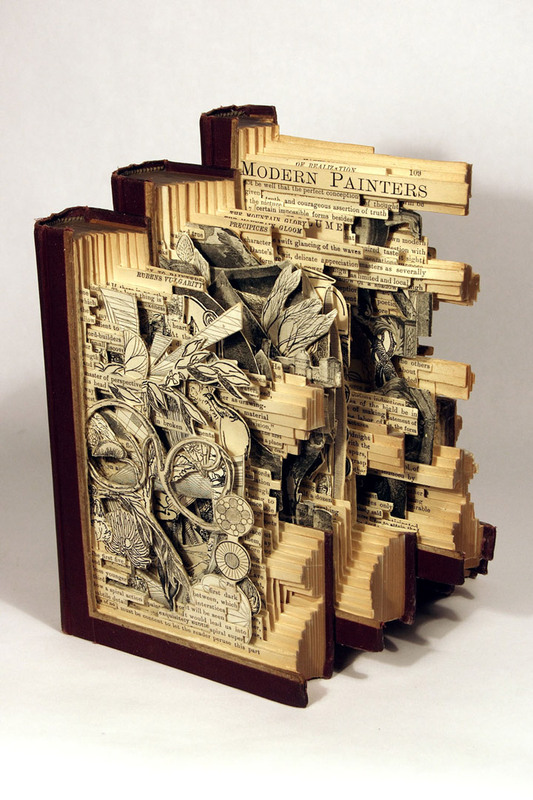 If you liked this post, may be you would also like Stunning Sculptures Made With Delicately From A Block Of Ice.